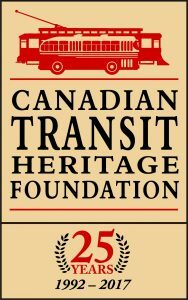 TRAMS is a proud partner of the Canadian Transit Heritage Foundation. Click the logo to learn more. TRAMS is a registered, independent not-for-profit society dedicated to the preservation of BC’s public transit heritage. We are not a part of TransLink, BC Transit, BC Hydro, Pacific Coach Lines or any other entity we represent.